Version 4.1 has just been released and re-adds the batch update feature for maps and marker icons to our new codebase, updates the Google maps mutant library to generate less billing items and also includes several minor usability improvements and bugfixes. See below for more details. Just select the map setting you would like to update, choose if you want to apply this setting to all or selected maps only and finish by clicking the “Save” button. 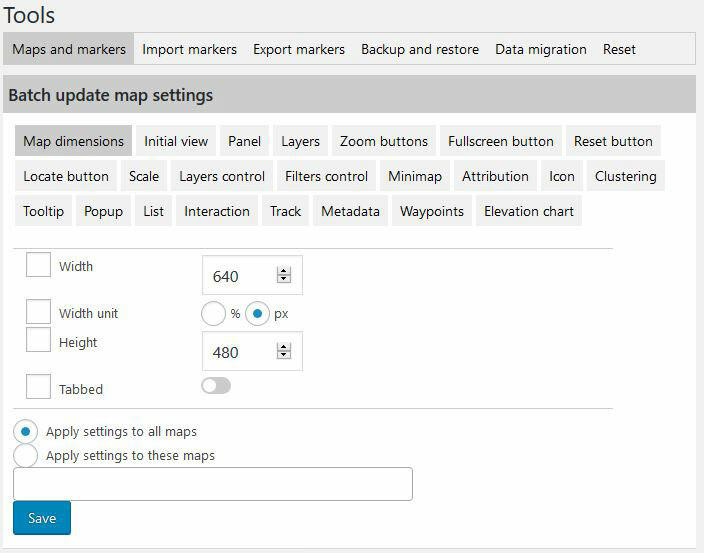 With this tool you can replace every instance of a specific marker icon on all maps. Maps Marker Pro uses the Google mutant leaflet library maintained by Ivan Sanchez in order to display Google as layers. With v4.1 we updated this library in Maps Marker Pro to include an optimization which reuses mutant instances on re-adding to map. The aim of this optimization was to generate less Google billing items. By default, only admin users are allowed to manage maps and marker since Maps Marker Pro v4.0. 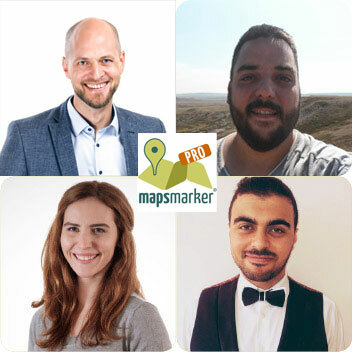 If other user roles should also be entitled to add, edit or delete maps, the built-in permission system for Maps Marker Pro has to be enabled. A tutorial can be found in our knowledge base at https://www.mapsmarker.com/kb/user-guide/how-to-change-the-permission-settings/. Unfortunately we missed a bug with this feature, which resulted in the permission system not working as designed since v4.0 – this has now been fixed with v4.1. Thanks John, will forward your feedback to our team!